NC254 offers very low post process residues, which remain crystal clear and probable even at the elevated temperatures required for today's lead free alloys. NC254 is a lead-free compatible paste flux that offers pin probe testable residues and has proven to eliminate voiding under micro- BGAs. is a lead-free and tin-lead compatible no-clean flux core that offers very good wetting and low residues. SAC305 is a lead-free alloy that contains 96.5 % tin, 3% silver, and 0.5% copper. This alloy falls under the JEIDA recommendation for lead-free soldering. SAC305 is a near drop-in replacement for 63Sn/37Pb for wave soldering and hand soldering applications and has proven to perform very well in SMT applications. When used in wave soldering, SAC305 produces less dross than other solder alloys, wets well, and provides superior joint strength. SAC305 may be used with existing equipment, processes, coatings, and flux chemistries. The SAC305 alloy is available in bar, cored wire, solid wire, foil, preforms, powder, and no-clean, water soluble and rosin solder pastes. SAC305 no-clean solder pastes pass all Bellcore and IPC specifications. Does not contain silver or bismuth. Smooth, bright, well-formed fillets, free of gross micro-cracks, irrespective of the cooling rate. Dross rate equal or lower than tin-lead solder. Does not require a nitrogen atmosphere. Does not erode copper from holes, pads and tracks. Low rate of copper leaching makes it easy to control the copper content of the solder bath. Lower aggressiveness to stainless steel and other solder pot materials as compared to tinsilver- copper alloys. Thermal fatigue resistance and creep strength better than tin-lead. Slow, even growth of the intermetallic layer at the solder/substrate interface. Also performs well in selective and dip soldering. SN100C is a lead-free solder alloy developed by Nihon Superior in Japan that is comprised of tin, copper, and a small amount of nickel. SN100C offers user-friendly properties and has been proven in commercial production for over six years. The result of these advantages is that SN100C offers high-throughput and the lowest cost of ownership as compared to any other lead-free solder alloy. 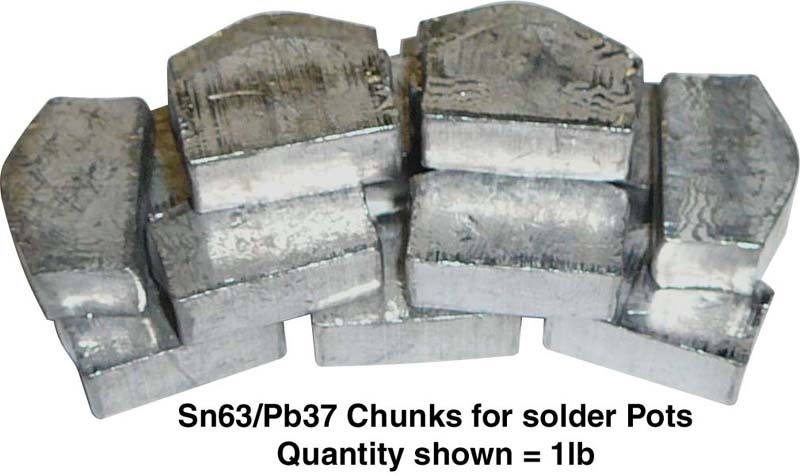 63Sn/37Pb is composed of 63% Tin, and 37% Lead. This is a eutectic alloy with a melting point of 183°C ( 361°F). Typical applications are plating, where 63/37 is primarily used as a coating for corrosion protection, and as a base for soldering. 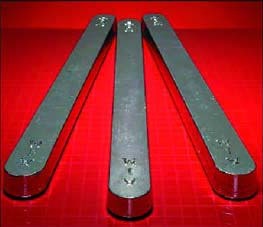 This alloy is available in solid wire, bar, and chunks.